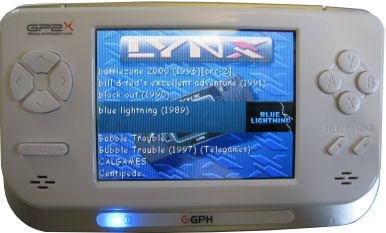 Lynx games can also be played, although illegally, by means of an Emulator called Handy. Handy can be downloaded for systems such as a standard PC and the Game Park Holdings GP2x handheld systems. Seen here is Handy running on the GP2X F-200. The actual games are downloaded as seperate files called ROM's. You can also find homebrew games and demos available for download which makes Handy even more appealing to the Lynx fan. ComLynx cable. Connects multiple Lynx's together for multiplayer games. 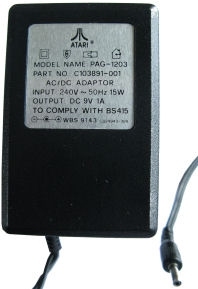 AC adaptor. Power the Lynx from a AC wall socket. 2-pin and 3-pin versions were available for the differing sockets of the UK and rest of the world. Cigarette lighter adaptor. Power the Lynx from a automobile cigarette lighter. Will support one or two Lynx's simultaneously. Sun Shields. Folds down flat to protect the Lynx screen. Folds up to shade the Lynx screen from sunlight for outdoor play. There is a version for both Lynx models. The top image is for the Mk2 the two below it are for the Mk1. Battery Pack. Holding six big D-size batteries, it is the perfect portable backup system to the AA batteries used in your Lynx video game. The battery pack delivers all the power you need for many added hours of playing enjoyment. A cable is included that plugs directly into the Lynx's power socket. And your power pack goes with you go- on the bus, at the park, to a friend's house- you can hook it to your belt or attach it to a shoulder strap and carry the extra power with you. Alkaline type batteries can provide power for up to 20 hours of power. Carrying pouch. 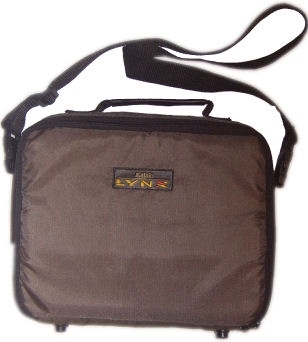 Holds a Lynx, several game cards, and a ComLynx cable. Attaches via a wrist strap or belt loop. Kit Case. 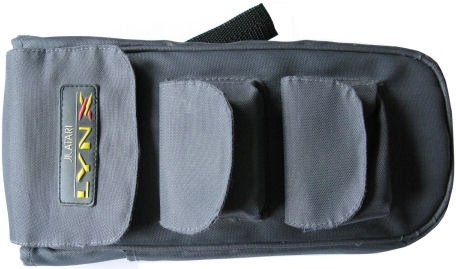 Holds a Lynx, up to 24 game cards, and various accessories. 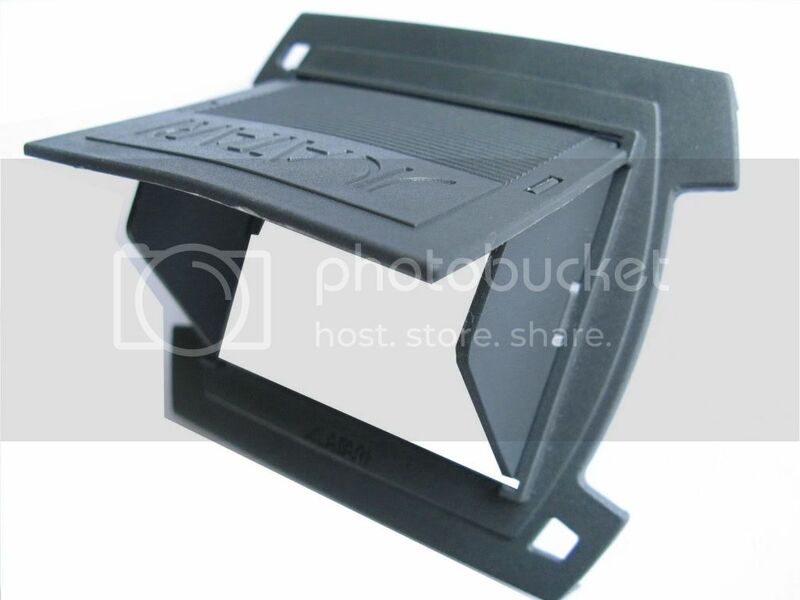 It has a padded interior with custom layout Velcro dividers. Carry via a handle or shoulder strap. Lynx/PC serial cable. Connect your Lynx to a 9-pin serial port. Used in the game Crystal Mines II: Buried Treasure, and with S.I.M.I.S. to allow downloading RAM-based homebrew games to your Lynx. Game Wallet. Holds 9 games single-stacked, or 18 games double-stacked. Made of Dupont Cordua water-resistant exterior, foam-backed soft headliner interior, 9 clear Vinyl pockets and a Velcro latch. Originally produced by Realm exclusively for the Atari Lynx. Power pack. Mounts on the back of the Lynx II, comes with an AC adapter which allows recharging while playing. Comes in 110v (USA), 220v (Europe), or 240v (UK) formats. Eliminator cleaning kit. Cleans game cards and cartridge slots. Comes with swabs and cleaning solution. AC adaptor. Powers the Lynx from any 110v outlet. Car Power. Cigarette lighter DC adaptor. Pro Pouch+. Holds a Lynx and up to 20 game cartridges. Nylon with adjustable carrying straps. Comes in Black, purple, or teal blue. Hope you're enjoying this site?